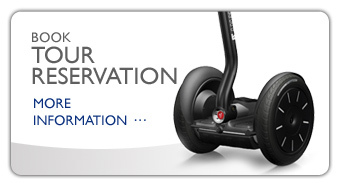 Home | Contact | SEGWAY SITGES RESERVATIONS ! 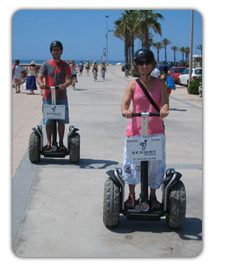 We live in Sitges and we love our town, its people, its cuisine and its way of life… We would like to show you around the town on one of our Segway X2. Sitges is a town with an interesting history and lots of curiosities. The Church of Saint Bartholomew, the Cau Ferrat museum, the beaches, the gardens of Terramar, the chapel of Our Lady of the Vinyet etc. 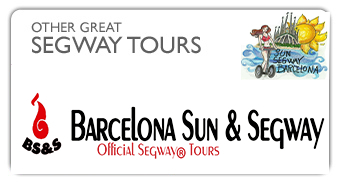 You could accompany us for a 90 minutes on our Segway route, and let yourself become enchanted by the beauty of our town. We are not cultural guides, but in 90 minutes you will be able to find out the most important things about our history, with anecdotes and curiosities, always told with a good sense of humour. On board the Segway X2 the town looks different, moving around is like a new experience, something like flying. If you bend your body slightly to one side or the other the vehicle goes forwards or backwards. It is an electrical vehicle, ecological, silent, and respectful, with a special beauty and it is a lot of fun to drive around. 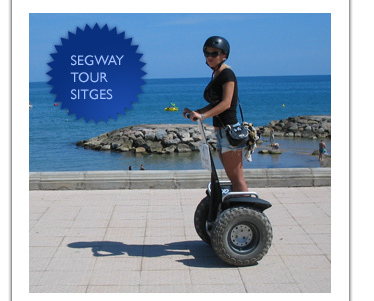 Anybody can enjoy this attraction; families, couples, friends, children, groups, events, stags nights or other kinds of parties… Now you know what to do; Segway Sitges is pure enjoyment!